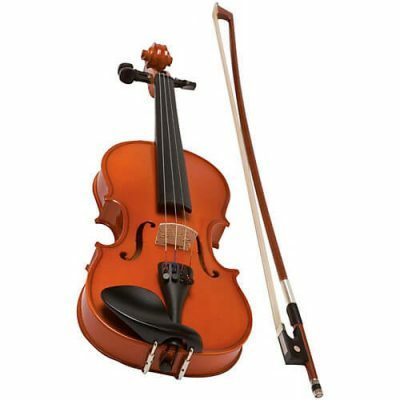 Student instrument perfect for the beginner to intermediate student. 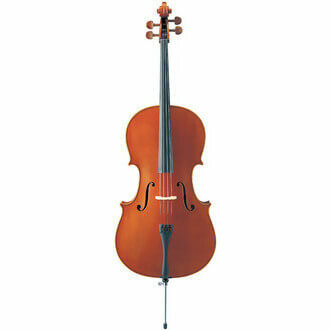 Student instrument perfect for the beginner to intermediate student. It is fashioned from a fully laminated top, back, rib and Maple neck. Setup comes with worship bridge and hardwood fingerboard, pegs, high quality Carbon fiber tailpiece, D’addario prelude strings. 10mm padded bag, Brazil wood half lined ebony frog model bow.